This new book containing a collection of lyrics for 18 popular Sankeerthanas of Annamacharya (rendered by M. S. Subbulakshmi) was released first time for the devotees in US on 14 July 2013 during a recital of Sri Tallapaka Annamacharya Sankeerthanas organized by SVASA. 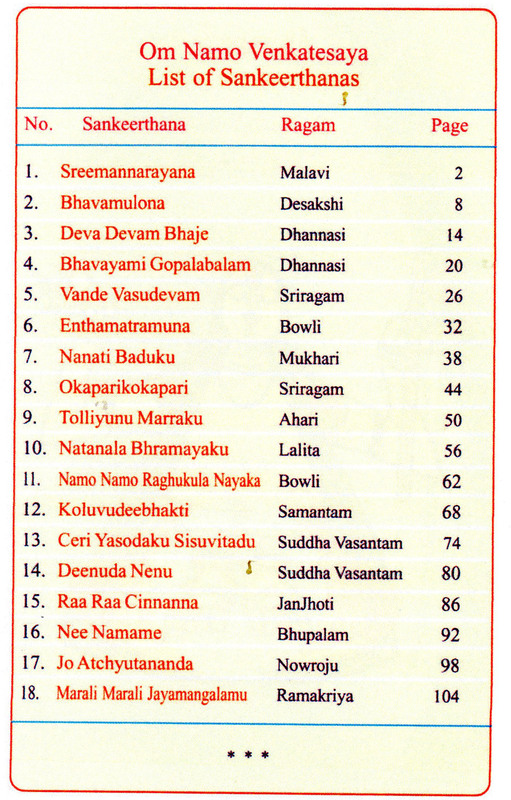 The book contains lyrics for each Sankeerthana in Telugu, Sanscrit, Tamil, and English. 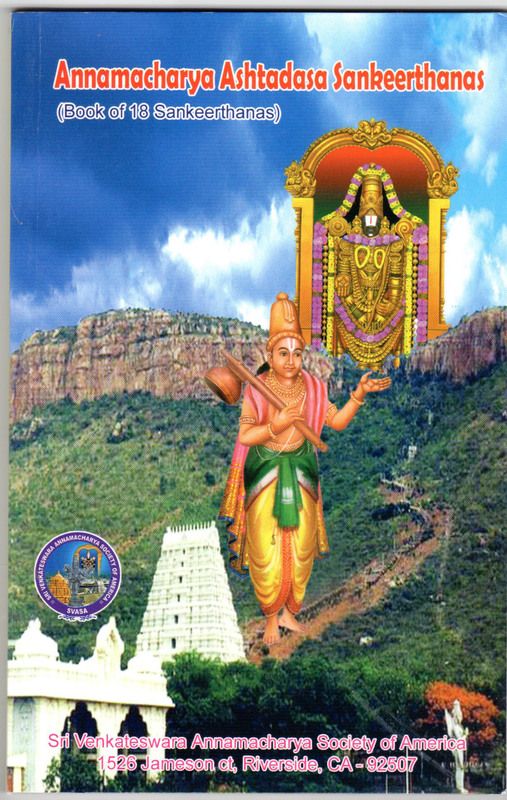 The book also contains meaning and summary for each Sankeerthana. The "ragas" indicated in this book are the original "ragas" for these Sankeerthanas. Devotees will receive this Book as a token of appreciation for their donations to the organization. Donations may be made to "Sri Venkateswara Annamacharya Society of America" or "SVASA"